TL; DR: Competitive analysis, or judging what’s working for other companies in relation to your own, is necessary in marketing a business or driving traffic to a site. In display advertising, WhatRunsWhere® shines by showing clients more data on successful campaigns, Calls-to-Action, and traffic sources for less cost. They offer huge batches of fresh, non-biased data daily, plus third-party monitoring (1,000s of crawlers scraping the Web for intel on your competitors’ campaigns), so you get a more accurate picture of your ad competition — painted by actionable insights. Sizing up the competition is an age-old tactic in business. Especially as advertising mediums continue to develop and expand, knowing your competitors’ strengths, weaknesses, and the marketing strategies that are proving to be beneficial for them is critically important. For site owners, this means figuring out how similar web properties are acquiring traffic, where the visitors are coming from, and how the competitor sites are monetizing those eyeballs as they add up. WhatRunsWhere® shows you what ads are working, where to find new traffic sources, and how to market more efficiently. WhatRunsWhere® can help you buy display advertising more efficiently and effectively, by showing you what campaigns, platforms, and Calls-to-Action (CTAs) are working for your competitors. CEO and Co-Founder of WhatRunsWhere®, Max Teitelbaum gave us his insights as an experienced performance marketer, plus an exclusive look at how WhatRunsWhere® works. The beauty of competitive analysis in online media buying is being able to let your fellow industry players spend money to market and monetize products similar to yours while you use their experiences to construct more efficient and lucrative marketing strategies for yourself. By leveraging competitive intelligence to dictate your media decision-making, you can learn more and spend less, better anticipate market reactions, and ultimately build rapid revenue growth. For site owners especially, it can get tremendously expensive to drive traffic to your site. You want your campaign choices, PPC spends, social media channels you choose to advertise on, et cetera, to be cost-effective — as measured by your click-through rate (CTR) and resulting net profit. WhatRunsWhere® can give users insights on anything from successful Calls-to-Action and campaigns to ideas for new traffic sources. Which piece of that information is most valuable varies by industry, use-case, individual, et cetera; however, the consensus on the data itself is that the daily batching is extremely popular among WhatRunsWhere® customers. WhatRunsWhere® CEO Max Teitelbaum has years of experience helping clients use data to their advertising advantage. Max told us that in 2015 WhatRunsWhere® collected more data in any given three-month period than in all of their earlier years. Obviously, storing all of that data presents challenges, especially as they continue to grow and build upon their existing data collection methodology, but Max told us that warehousing the data is actually an area where WhatRunsWhere® excels. According to Max, a more important challenge is protecting the integrity of that information — providing realistic and non-biased data. “We show what we see — we don’t improve or alter that with any bias whatsoever,” he said. 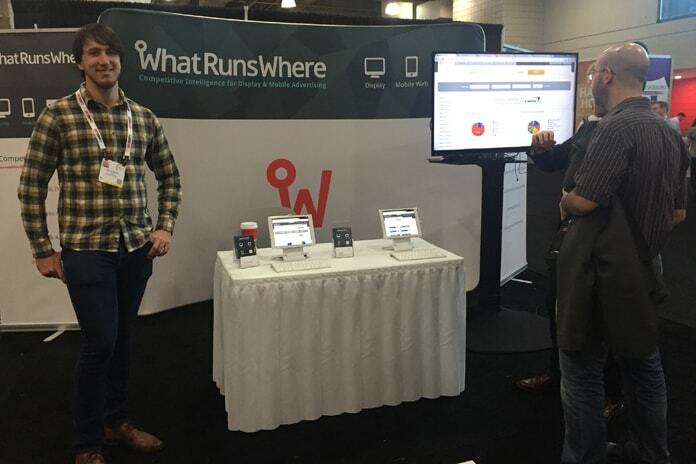 Max told us that the key technological differentiator of WhatRunsWhere® is their third-party monitoring. “We decided very early on that we were going to provide third-party monitoring, not first-party monitoring — meaning we deployed a fleet of scrapers, we maintain those scrapers, and we actually collect the information,” he said. Contrarily, several major WhatRunsWhere® competitors have a consumer panel that collects intel on client competitors, but the result is slightly different data, Max explained. “We feel like our scrapers properly emulate human behavior across the Web. They give a richer data set and more reliable results to our customers,” he said. Max has been in the performance marketing industry for 10+ years now; both he and his partner were successful affiliate marketers before launching WhatRunsWhere®. They originally engineered the early stages of today’s WhatRunsWhere® technology as an internal tool for their own campaigns. “As we were trying to make our own campaigns more successful, we realized we had an opportunity to build a whole technology and company around it,” he said. 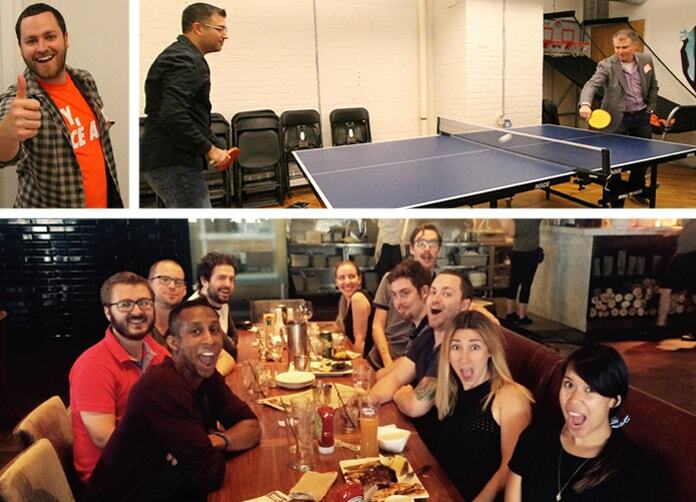 What began as an internal tool for affiliates has turned into a company of innovators — with an energizing, creative culture. They ended up using that tool as a prototype for WhatRunsWhere® and have been iterating and improving upon the technology ever since. When they first released the beta version of WhatRunsWhere®, there wasn’t really a comparable service on the market. Of course big-name analytics companies like comScore were around, but these brands were charging tens of thousands of dollars for their solutions. “How can we bring digital intelligence to the masses and how can we empower people with our software?” Max said, recalling his thoughts at the time. “When we released our product, we released it by affiliates, for affiliates, at around 250 dollars a month,” he said — it was a completely new twist on performance advertising intelligence, at a completely different price point. 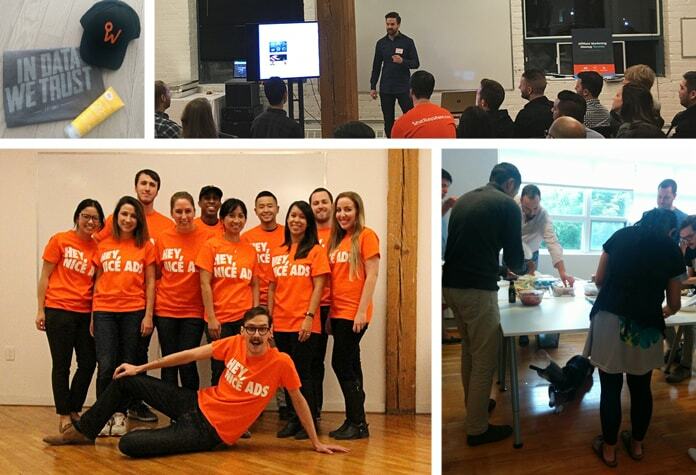 WhatRunsWhere® started out as a team of three and has grown in a “slow, steady, and controlled way,” as Max described it, to being a team of about 17 people. The majority of the team is Canadian-based, with the rest dispersed throughout the US, and they’re all pretty evenly split between working on the actual product development and the business end of things. How do we make our data work for our customers? How do we enable our customers to work less and be more successful with our data? “Everything we’re going to be working on this year is going to be focused around that, as well as making the product more intuitive,” Max concluded. We predict WhatRunsWhere® will continue to empower site and business owners to grow their brand intelligently and efficiently — and WhatRunsWhere® customers can expect to leverage more data for less cost (and see the results in their CTR and overall profitability).